This will be released this November from Chronicle Books! Over the past 25 years, Pixar s team of artists, writers, and directors have shaped the world of contemporary animation with their feature films and shorts. From classics such as Toy Story and A Bug s Life to recent masterpieces such as Up, Toy Story 3, and Cars 2, this comprehensive collection offers a behind-the-scenes tour of every Pixar film to date. 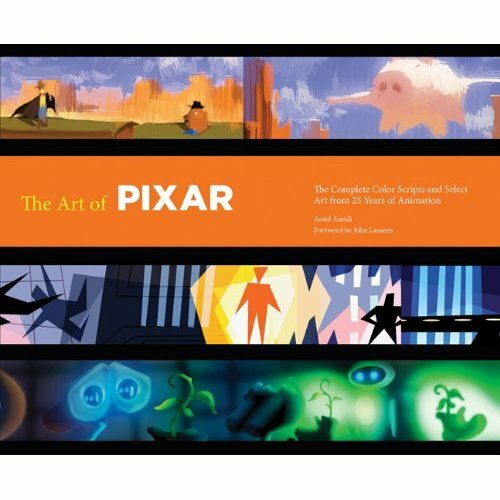 Featuring a foreword by Chief Creative Officer John Lasseter, the complete color scripts for every film published in full for the first time as well as stunning visual development art, The Art of Pixar is a treasure trove of rare artwork and an essential addition to the library of animation fans and Pixar enthusiasts.